One of the leaders of the "yellow vest" demonstrations in France was detained by police in Paris, signalling a harder line from the government that sparked a wave of criticism from opponents on Thursday. 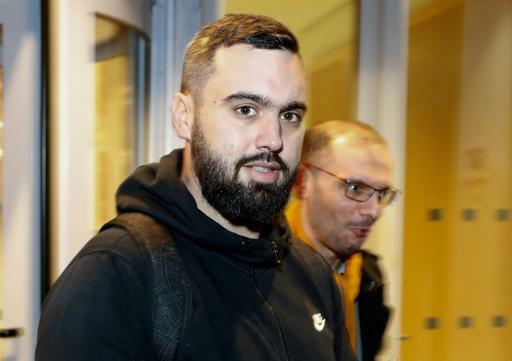 Eric Drouet -- who already faces a trial for carrying a weapon at a previous demonstration -- was arrested late Wednesday for organising an unauthorised protest on the Champs-Elysees avenue. He was released Thursday afternoon. Speaking to reporters after his release, Drouet said he had been on his way to a restaurant with four others when they were picked up. "I wasn't wearing a yellow vest, just walking on the pavement," he said, calling the arrest "incomprehensible". "I'm not the yellow vests' representative. With or without me, it will continue", he said, speaking of the protests. "It wasn't a call for a demonstration," he added, denying accusations that he had called for a rally on the Champs-Elysees Wednesday evening while failing to inform authorities in advance of the protest. "Everything that has happened here, it's political, " he said, a view echoed by his lawyer Lara Kheops, who called his arrest "totally arbitrary". Economy Minister Bruno Le Maire defended the arrest, saying: "It's called respecting the rule of law." Under French law, protest organisers are required to inform authorities of the location at least three days in advance, but "yellow vests" have routinely flouted this rule since their often spontaneous demonstrations began in late November. Far-right National Rally leader Marine Le Pen accused the government of "systematic violation of the political rights of opponents", while one of her party's top men, Wallerand de Saint-Just, said Drouet had become "a hero, a martyr". On the other end of the political spectrum, Jean-Luc Melenchon, leader of the hard-left France Unbowed party, also lashed out at Drouet's detention. "Again Eric Drouet arrested, why? Abuse of power. A politicised police targeting and harassing the leaders of the yellow vest movement," Melenchon tweeted. 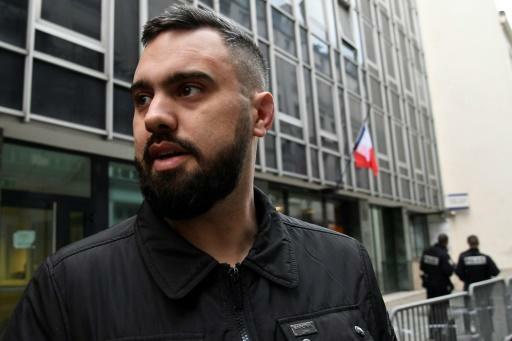 Drouet, a 33-year-old truck driver from a town south of Paris who has closely cropped hair and a beard, often appears on television as an "apolitical" spokesman for the "yellow vest" movement. He has been criticised for peddling conspiracy theories online and accused of voting for Le Pen in elections last year, which he has denied. He became known through his Facebook videos, often showing him in the driving seat of his truck, and he was one of the first to call for nationwide protests against higher fuel taxes. The "yellow vest" demonstrations -- named after the high-visibility jackets worn by the protesters -- began in rural France in November over fuel taxes, but ballooned into a wider revolt against President Emmanuel Macron's policies and governing style. Drouet took the lead in calling for protesters to hold the first rally on the Champs-Elysees on December 1, a demonstration which turned violent, with "yellow vests" clashing with police amid flaming barricades. Drouet had called on Facebook for another demonstration Wednesday evening on the Champs-Elysees. Several dozen demonstrators were gathered outside a McDonald's restaurant near France's famous Arc de Triomphe to greet him, when he was picked up by dozens of armed riot police who forced him into a vehicle. He was also arrested last month for carrying a wooden stick at a demonstration, and he faces trial on June 5 for "carrying a prohibited category D weapon", a judicial source told AFP. The "yellow vest" protests have caused the biggest political crisis of Macron's 20-month presidency. 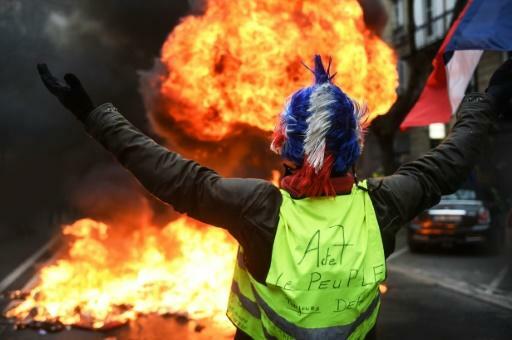 In mid-December, after weeks of violence, Macron scrapped planned fuel tax rises in response to the protests and promised extra cash for minimum wage earners and tax cuts for pensioners. Since then, the movement has waned. Only a couple of hundred of "yellow vests" turned up for the last round of demonstrations on the Champs-Elysees on New Year's Eve. They were swamped by tens of thousands of revellers ringing in the new year. But the "yellow vests" have promised to return in force to the streets this Saturday.